There are compelling reasons why taking the Trans-Siberian railroad tours is among the most exceptional travel journeys you can make on earth. This is the longest railway line in the world; it covers seven time zones, 5,772 miles and takes 143 hours to complete. This perception-changing tour will guide you through steppe, taiga, and the mountains as you get to terms with the history of wars, environment calamities and a history of a century of revolution. A true statement of triumphant engineering, the Trans-Siberian Railroad is genuinely worthy of a top place on your bucket list and is the chance for you to experience the real Russia that countless artists, writers, and explorers have spoken so vividly about. 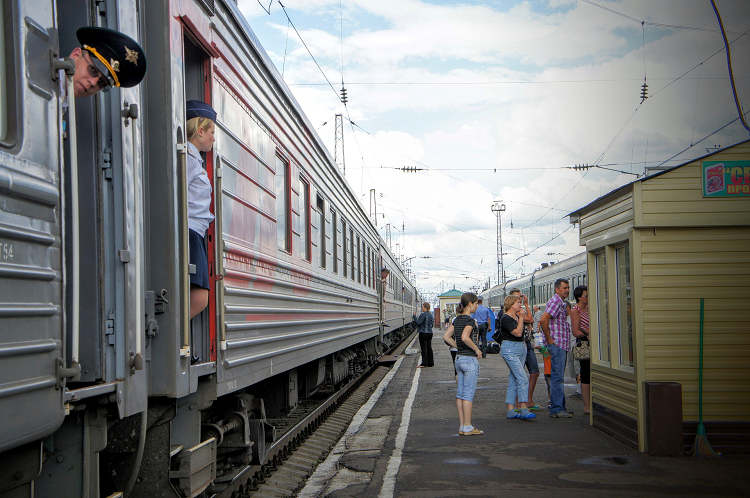 But, before booking a ticket in one of the Russian trains that take this fabulous trip, you first need to determine what kind of experiences you wish to have on the Trans-Siberian railroad. Enjoy the iconic classic route in the summer or fall to experience the urban culture of Russia’s booming capital city, Moscow, to the quaint little villages and across miles of wilderness towards Siberia. While in Moscow, tour the renowned sights of this 870-year-old city including the venerable Kremlin and Red Square. Go to a private concert at Decembrist House Museum located in Irkutsk then spend some time at the gorgeous Lake Baikal, a UNESCO-listed site on the incredible Circumbaikal Old Railway which is one of the world’s most complicated yet astonishing rail routes. Finally, during your trip on the classic route, you can visit the village of Old Believers to indulge in traditional meals and enjoy musical concerts featuring the local musicians. This route takes you through Moscow and Ulaanbaatar allowing you to experience three different cultures: the modern Muscovite, Baikal Siberian and finally the Mongolian nomad. The main highlight of this journey is the Ulaanbaatar’s famous Naadam festival which involves the locals singing praises of their country’s best in archery, wrestling and horse racing. Furthermore, you get to enjoy home-cooked meals when touring the village of Old Believers and get to hear lyric songs, folk prayers, and marvellous chants. Experience a match of wrestling, watch young jockeys and sharp-shooters displaying their archery skills. During winter the fun doesn’t stop either! Western Russia brightens up with festive lights whereas Siberia boasts of its wild and wooded unimaginable beauty with its cities glowing with warmth. Taking the Winter Wonderland route with the Trans-Siberian Railway offers you a plethora of activities and adventures over the frozen Lake Baikal. From the views of St. Basil incredible onion domes to wandering on the snow-dusted bricks of the Red Square, a UNESCO-listed site, unlimited fun awaits! Take a trip to Vladimir and Suzdal to enjoy magnificent views of the onion domes of the first monasteries and churches in Kievan Rus covered in snow then, later on, go on a thrilling sleigh ride. At the frozen Lake Baikal, board a hovercraft and find a spot where locals are ice-fishing – join in and try your hand in catching fish or ride on dogsleds and snowmobiles. Ride in the Tsar’s Gold train for a journey between two of the biggest countries in the world, China and Russia, through Mongolia. Explore the Red Square and St. Basil’s which have now become the symbols of Russia, then embark on the railway journey to Beijing. In this train, you get to enjoy a Russian tea party which features hot drinks, zakuski, and baked pastries. While on the journey to Beijing, marvel on the endless steppe in Mongolia to the Gobi Desert. During your stopover at Ger, experience a picnic lunch, Mongolian-style wrestling and a display of Mongolian horsemanship. Russia’s Legendary Route is truly the journey of a lifetime. Be sure to embark on this once-in-a-lifetime tour to experience Russia, Mongolia, and Beijing in an authentic way.